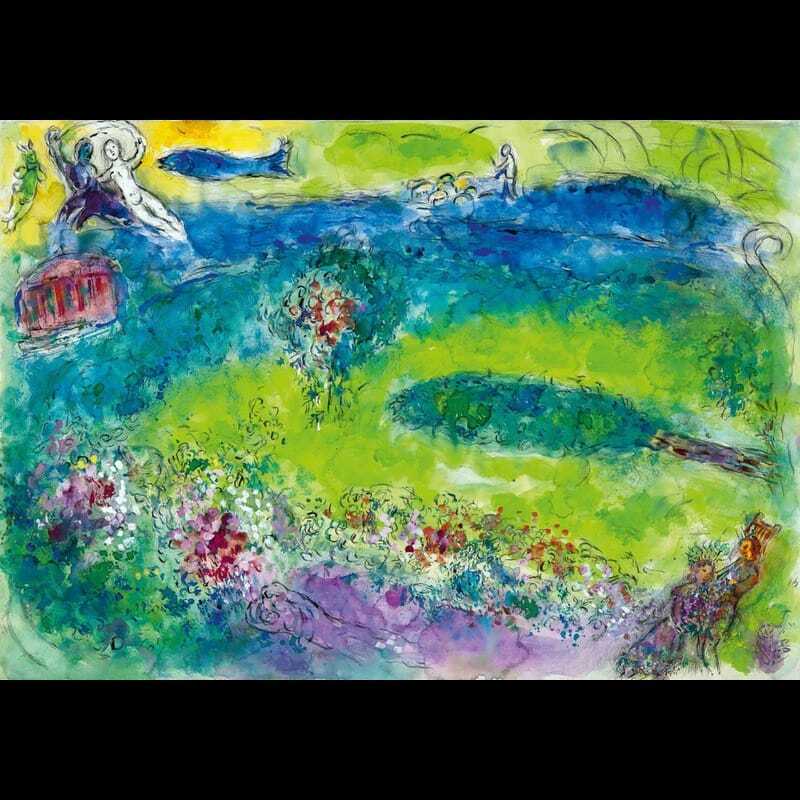 Chagall: Colour and Music is the biggest Canadian exhibition ever devoted to Marc Chagall (1887-1985). 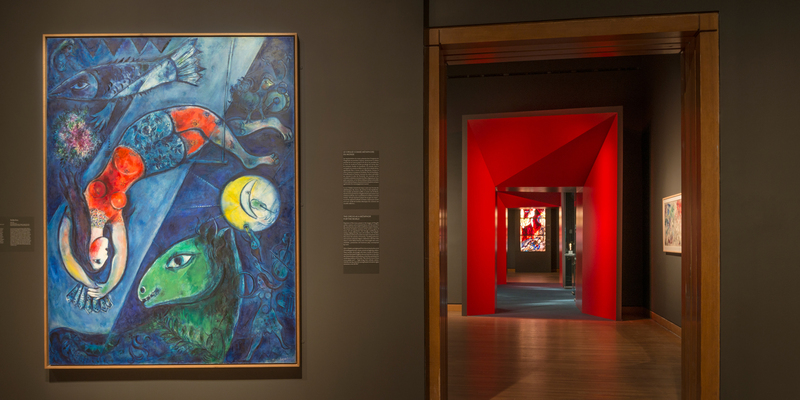 Featuring 340 works of art and a large selection of documentary works, including films, photographs and musical excerpts, this multidisciplinary exhibition is the first to focus on Chagall’s profound connection to music in his life and work. 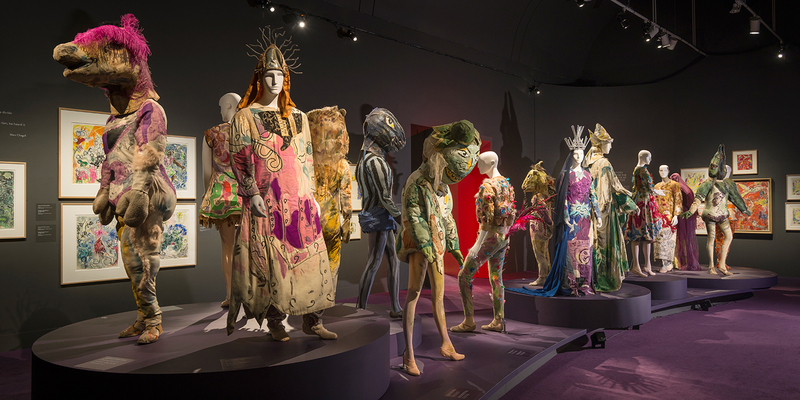 Through this original approach, the exhibition demonstrates how all of Chagall’s work, from his paintings, works on paper, costumes, sculptures, ceramics, stained glass and tapestries to his creations for the stage and his large-scale decorative and architectural projects, were imbued with musicality. The layout of this major exhibition is both chronological and thematic, covering all the periods of the artist’s long and productive career – his years in Russia, his Parisian period, his exile in New York, his time in Mexico and his life in the South of France. 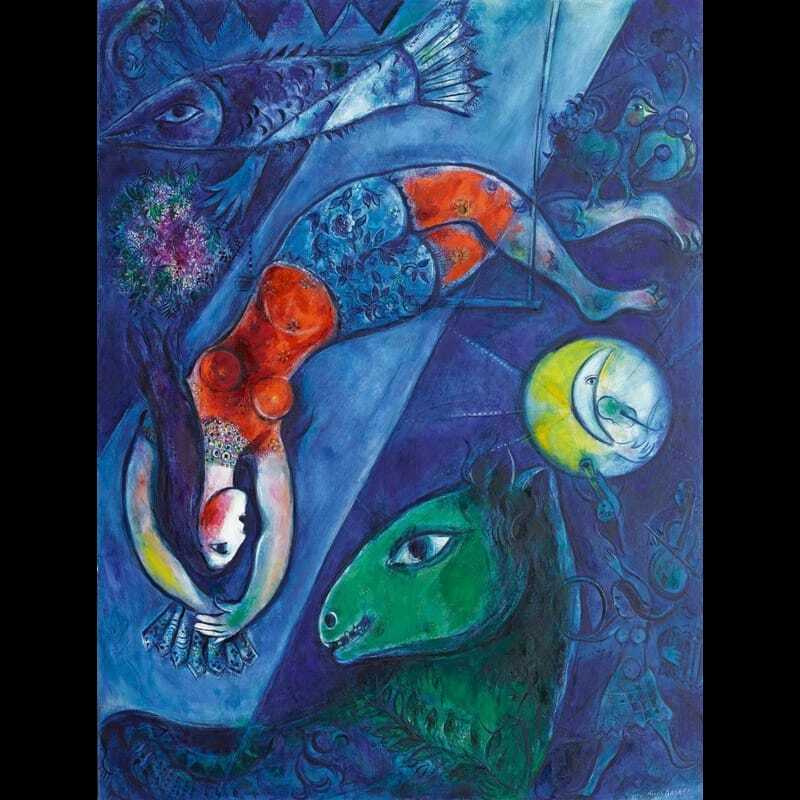 Music was at the heart of Chagall’s art from the very beginning. 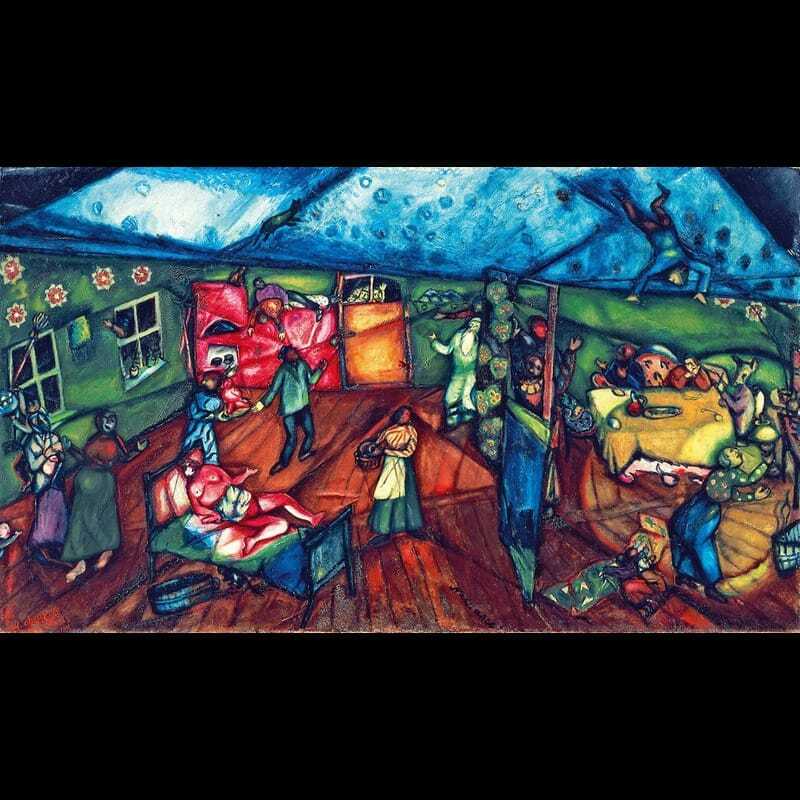 Selected drawings and paintings give us a sense of the cultural and religious context of his childhood in Vitebsk in White Russia (today Belarus), the role of song in the synagogue and the influence of his family members, several of whom were musicians. 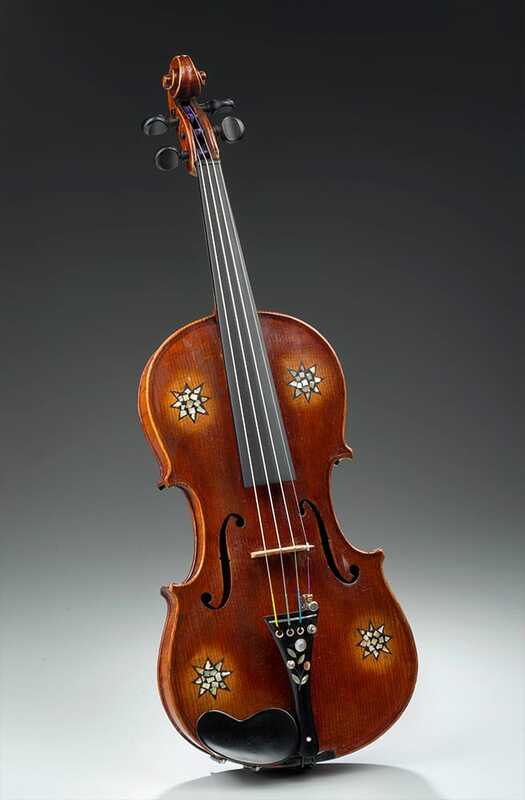 Large paintings of the archetypal violinist demonstrate the importance of this figure in his work and the ubiquity of the violin itself, the instrument of the exodus, carried by the Jewish people as they fled or migrated. 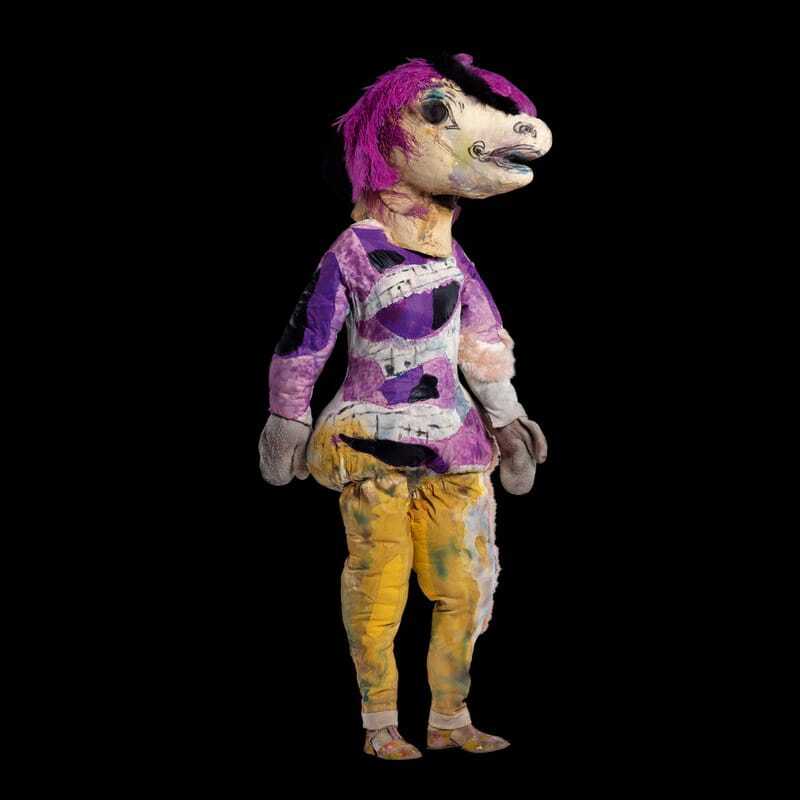 Music will also be heard in the first galleries in order to give visitors a deeper, transversal experience of Chagall’s work. 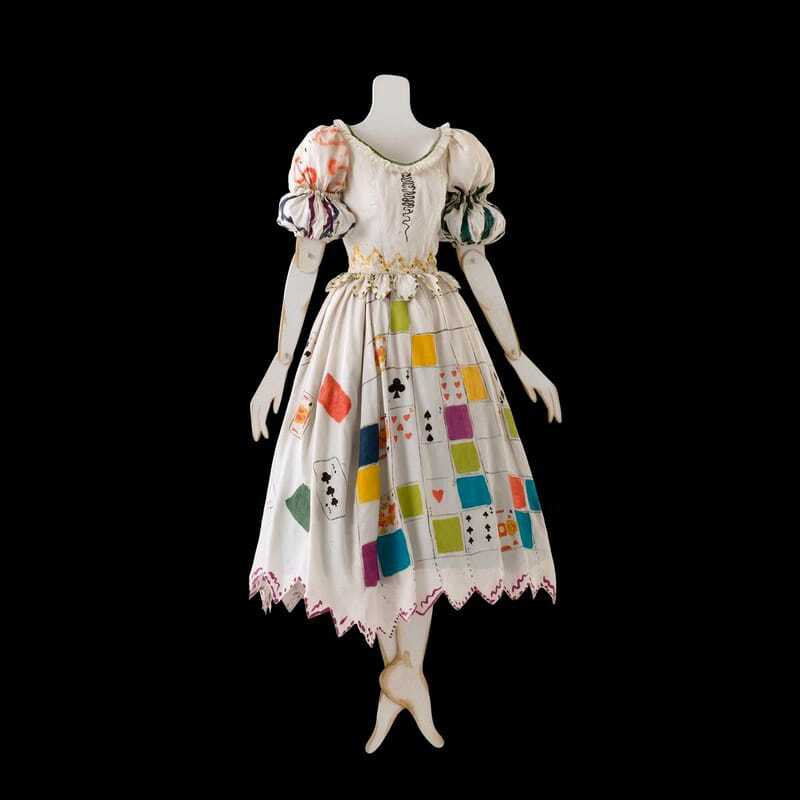 The exhibition continues with a sequence devoted to the musical and plastic rhythms in the artist’s oeuvre, apparent in compositions inspired by Cubism (Birth, 1911-1912; and Self-portrait with Seven Fingers, 1912-1913) and inverted figures in movement (The Gamblers, 1919), and also in pieces exploring the world of the circus (The Blue Circus, 1950-1952). The illustrations for the Fables of La Fontaine, commissioned by Ambroise Vollard, which Chagall executed in 1926-1927, highlight the connection between the musicality of the human voice and the creation of art – his wife, Bella, read passages of La Fontaine’s work to him while he was drawing or painting. The presence in the show of stained glass windows, created in partnership with the Atelier Simon Marq in Reims, of sculptures, ceramics and a monumental tapestry woven by Yvette Cauquil-Prince enlarges our appreciation of an extremely rich and diverse body of work. 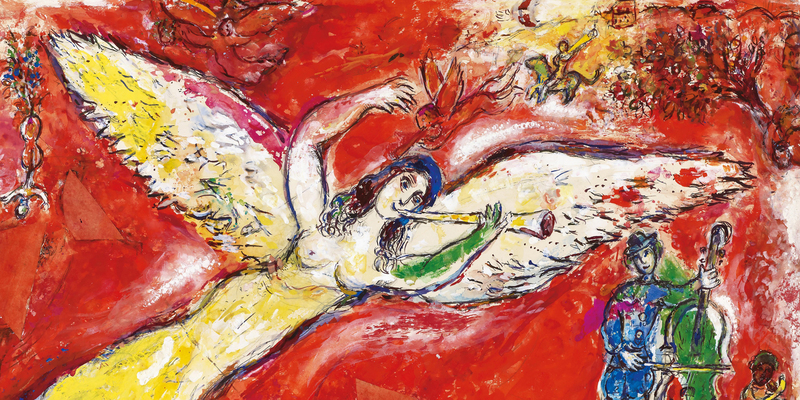 Three galleries are devoted to the ballets for which Chagall designed the sets and costumes: Aleko (1942, Mexico City), The Firebird (1945, New York) and Daphnis and Chloe (Brussels-Paris, 1958-1959). 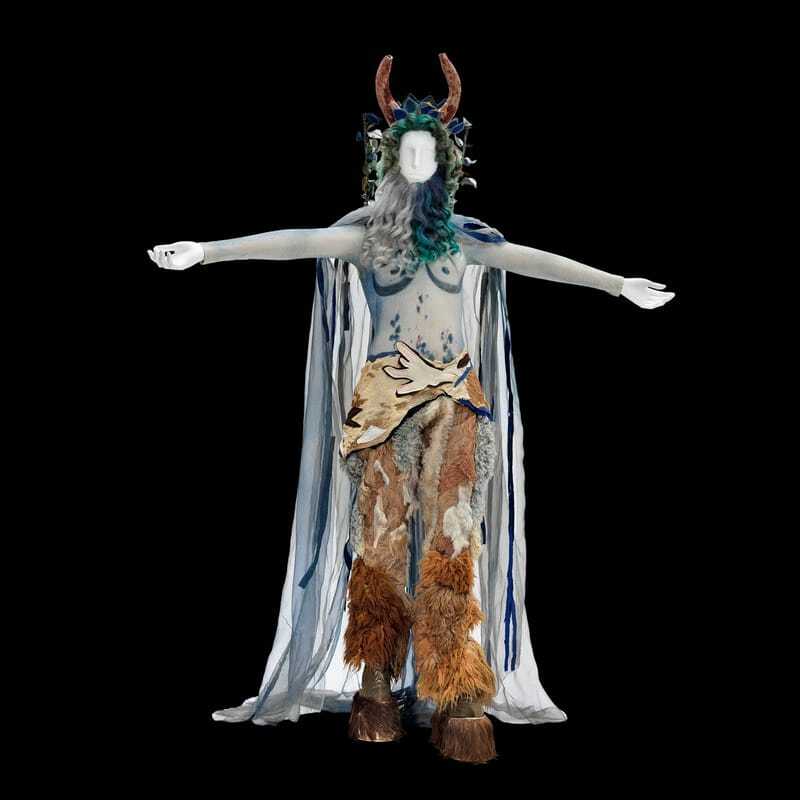 The costumes for these ballets reveal specific sources of inspiration, from the culture and colours of Mexico and the imaginative fairy tales of Russia to the sunlight and aesthetic glory of Ancient Greece. 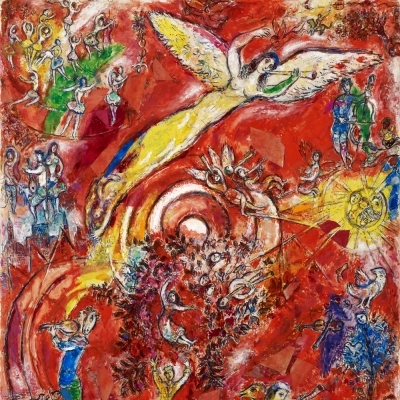 Alongside Daphnis and Chloe – the ballet that evokes the ambience of the Mediterranean and the contrasts of sunlight and stone – visitors will discover two sequences on the stained glass art and the sculptures and ceramics that Chagall associated closely with his search for musicality in his work. These pieces, which are rarely exhibited in museums, demonstrate his versatility, as he experimented in every medium with the same urgent desire to create. 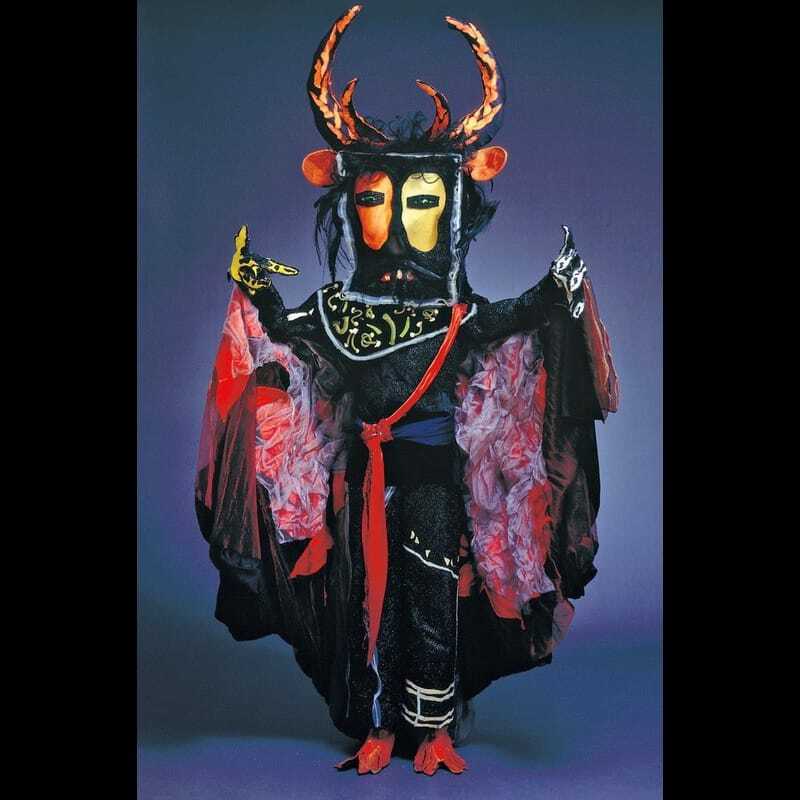 The exhibition continues with a focus on the opera The Magic Flute (New York, 1966-1967), for which Chagall designed over a hundred costumes, masks and sets. 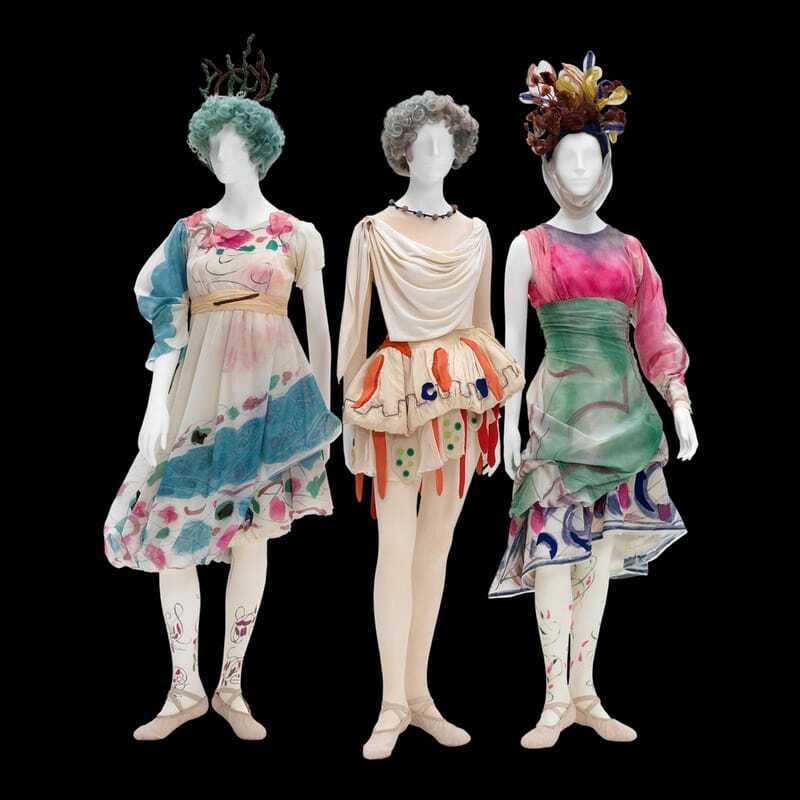 As a tribute to the fiftieth anniversary of the artist’s creations at the Metropolitan Opera, these magical costumes, composed of collages of fabric, are displayed beside the preparatory sketches for the opera and for the two panels for the Lincoln Center, for which Chagall also designed the murals. The exhibition ends on a high note with the presentation of the ceiling of the Paris Opera (1964), an artistic and musical pantheon conceived by the artist, thanks to a video shot by The Lab at the Google Cultural Institute, Paris. This close-up view allows us to appreciate details of the work that are normally invisible to the naked eye. The preparatory sketches for the painting of the 220-square-metre ceiling retrace the genesis of the project. 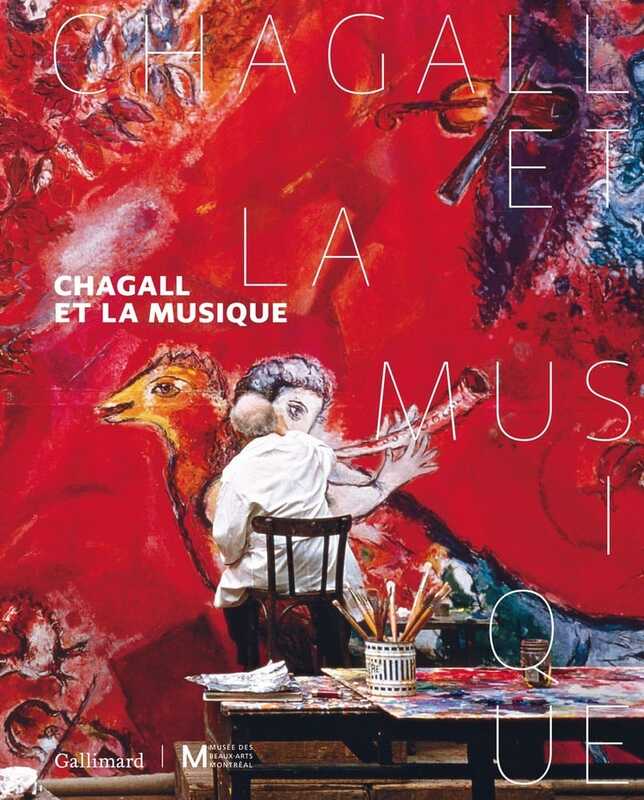 Consult our Cultural Calendar to learn more about the activities offered in connection with Chagall: Colour and Music. For this exhibition, guided tours in Yiddish and Hebrew are offered on the first and third Tuesdays of each month. AS YOU’VE NEVER HEARD IT BEFORE! 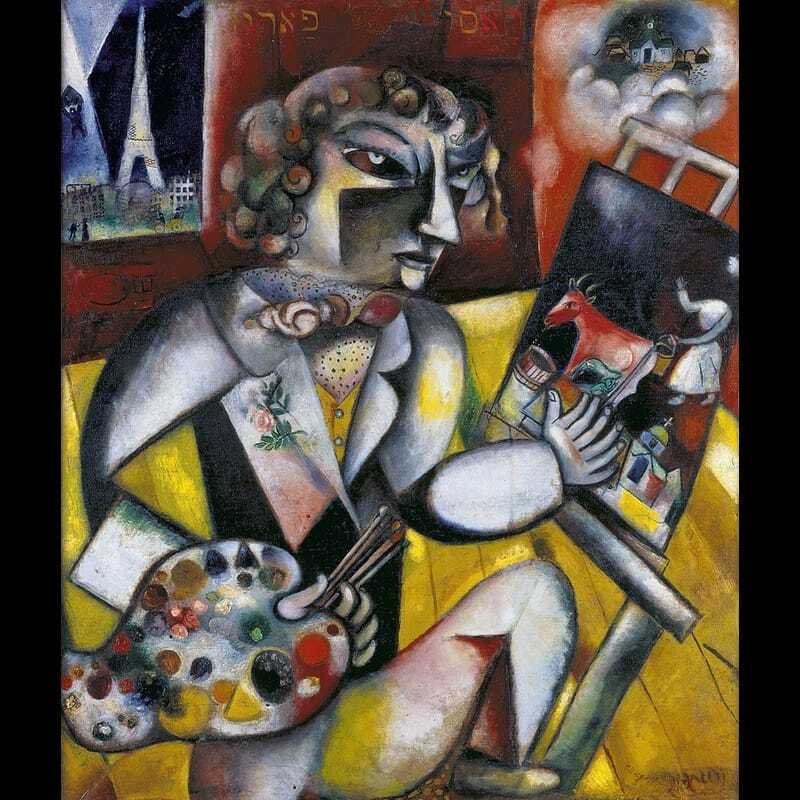 The Arte Musica Foundation, in residence at the Museum, will present a fascinating musical portrait of Marc Chagall in twelve concerts in Bourgie Hall and four lectures in the Maxwell Cummings Auditorium. Echoing the many kinds of music that influenced the painter, this series will take us into his flamboyant world. 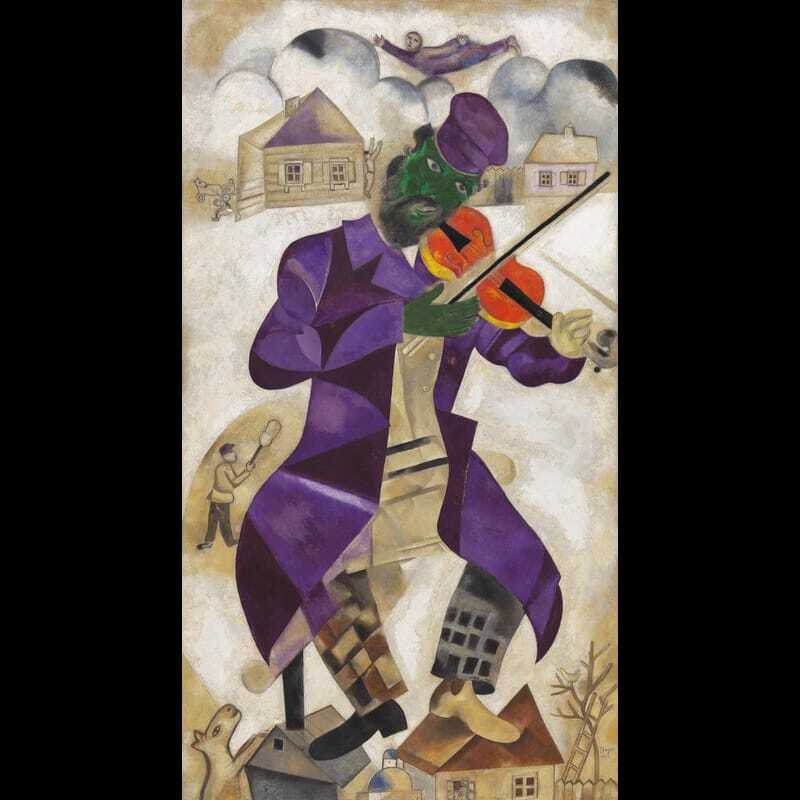 The Jewish music of his childhood, the French composers of the early twentieth century and the classical music of his native Russia comprise the core of this rich programme – a kaleidoscope in which musical and pictorial languages combine in a colourful dialogue! 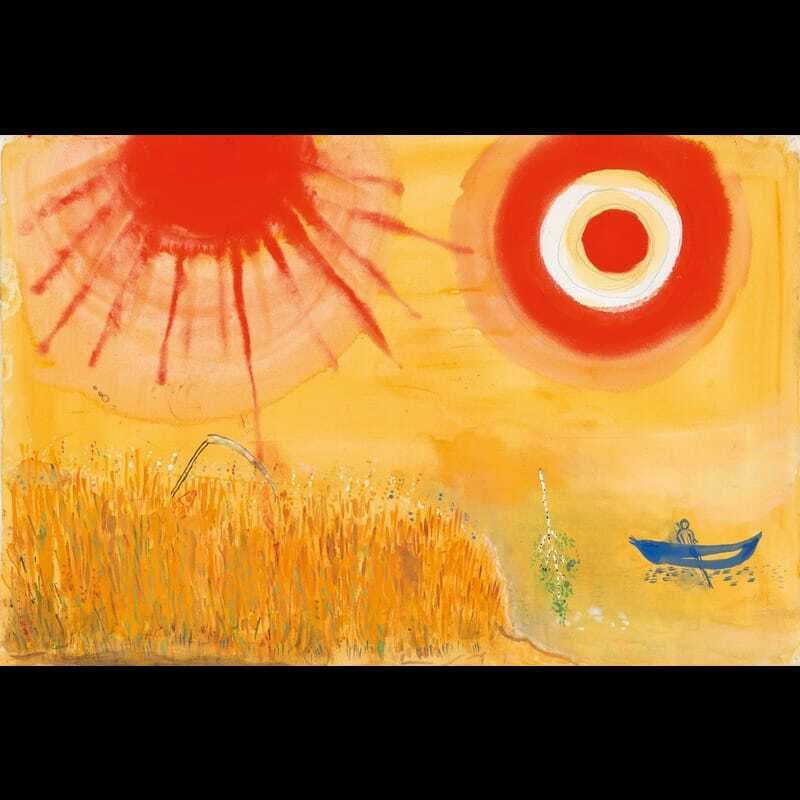 An area for creation and discovery, this gallery-workshop for children and their families serves as a gateway to the painter’s poetic and colourful world. Creative workshops and entertaining modules give children aged 4 to 13 and their families an opportunity to enrich their visit of the exhibition. 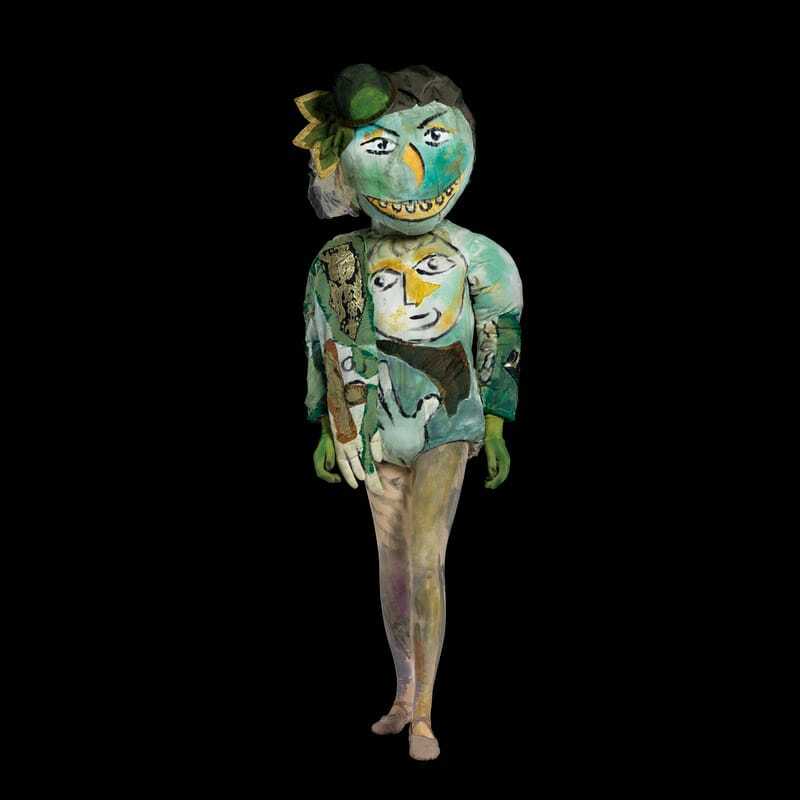 Digital installations and multimedia presentations will give participants a deeper appreciation of Chagall’s connection with music. 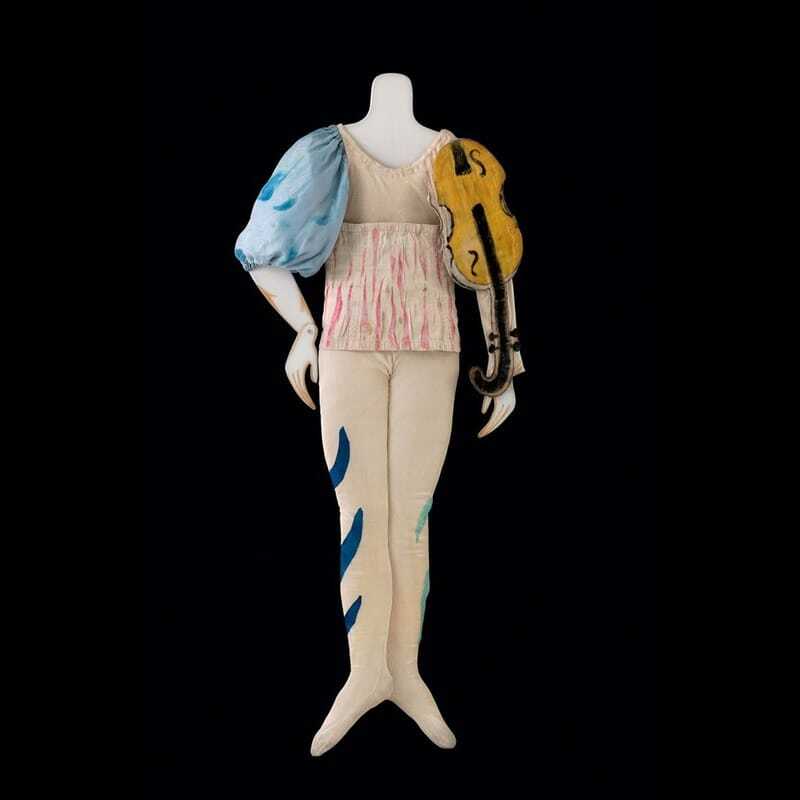 Chagall’s Little Box was designed by the Cité de la musique – Philharmonie de Paris. 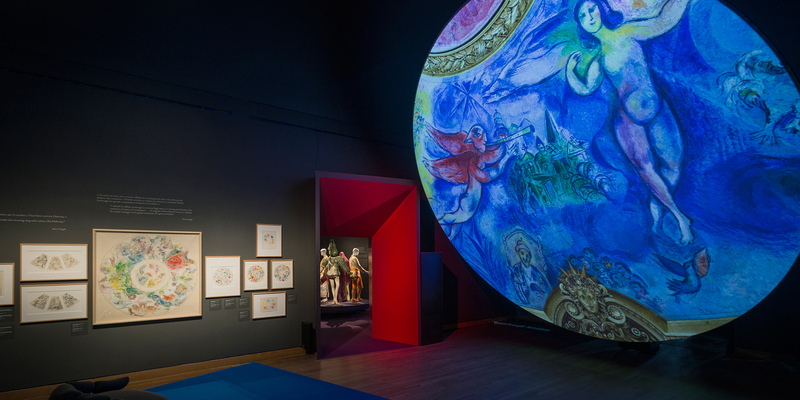 The exhibition is accompanied by a 416-page art book containing some 646 illustrations, published in English and French by the MMFA and Les Éditions Gallimard, under the general editorship of Ambre Gauthier, Guest Curator, and Meret Meyer, the artist’s granddaughter and vice-president of the Comité Marc Chagall. It features texts by Nathalie Hazan-Brunet, Ulysse Hecq-Cauquil, Michaël de Saint-Cheron, Julien Flak, Sylvie Forestier, Bruno Gaudichon, Ambre Gauthier, Evgenia Kuzmina, Bella Meyer, Benoît Marq, David McNeil, Meret Meyer, Mikhail Rudy, Christine Vargas and Éric de Visscher. 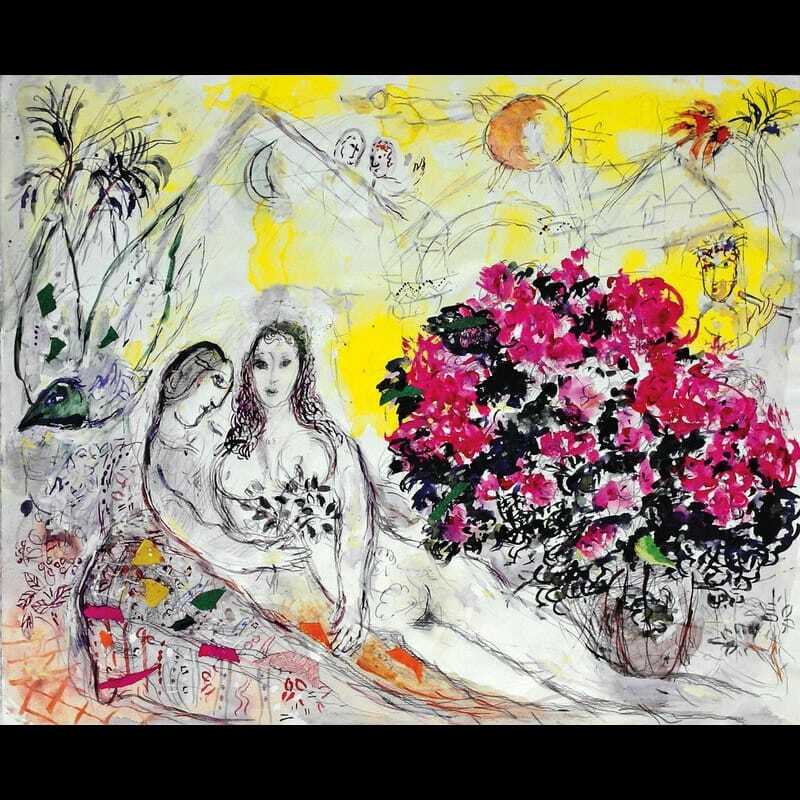 This exhibition was organized by the Montreal Museum of Fine Arts in collaboration with the Los Angeles County Museum of Art and initiated by the Cité de la musique – Philharmonie de Paris, and La Piscine – Musée d’art et d’industrie André Diligent, Roubaix, with the support of the Chagall Estate. 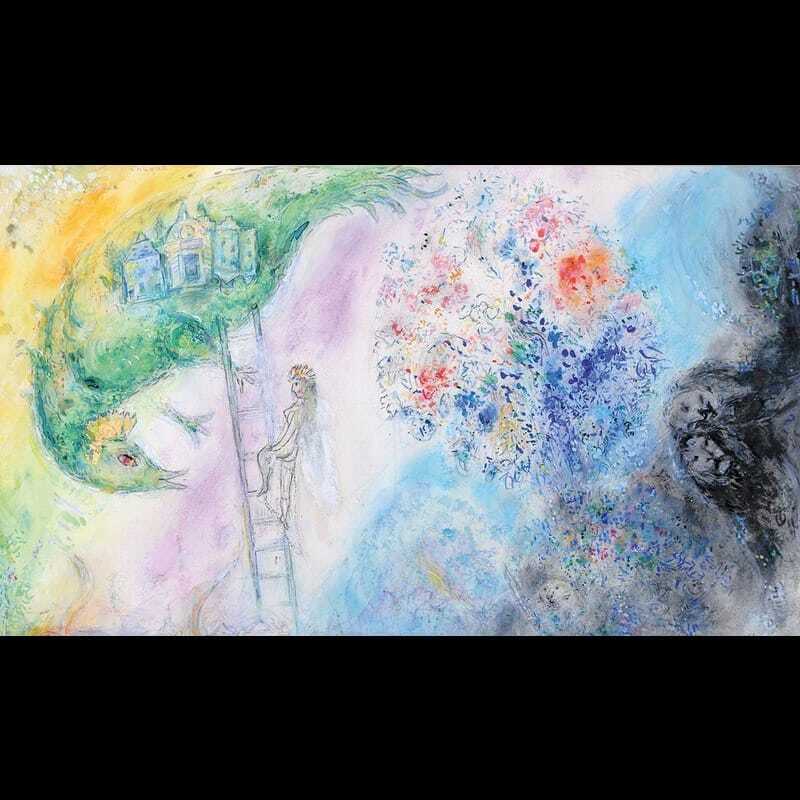 The exhibition was made possible thanks to the generous support of RBC, Presenting Sponsor of CHAGALL: COLOUR AND MUSIC, and Federation CJA, Major Patron in celebration of their hundredth anniversary. The Museum extends its thanks to the Azrieli Foundation for making it possible to present major works of art in this exhibition. 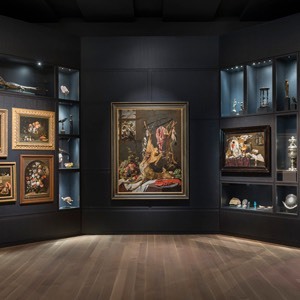 The exhibition design is made by Anik Shooner, president and architecte, and Claudio Nunez, conceptor, at Menkès Shooner Dagenais LeTourneux Architectes, under the direction of Sandra Gagné, Head of Exhibitions Production at the MMFA. The Museum is also grateful for the invaluable financial contribution of Jordan Aberman, Betsy Pomerantz & Sam Berliner, Ann Birks, Barbara Bronfman, Claudine & Stephen Bronfman, Freda & Irwin Browns, Joanne & Douglas Cohen, Sylvie Plouffe & Barry Cole, Elaine & Richard Dubrovsky, Maurice Forget, Isabelle Benoit & Geoffrey Gelber, Adam Goldberg, Michael Goodman, Steve Gross, Joelle & Bruce Kent, Leo Kolber, Ellen Wallace & David Laidley, Céline & Jacques Lamarre, Lillian & Billy Mauer, Marie Senécal-Tremblay & Bruce McNiven, Jacqueline McClaran & Jonathan Meakins, Elaine Tolmatch & David Pariser, Rhoda & Joel Pinsky, Betty Palik & Michael Prupas, Julia & Stephen F. Reitman, Hilary Pearson & Michael Sabia, Sara & Irwin Tauben, the MMFA’s Chagall Ambassadors – a group of private Montreal donors who gave generously to the fundraising initiative organized by Ann Birks, Joanne Cohen, Lilian Mauer, Marie Senécal-Tremblay and Elaine Tolmatch, to whom we extend our sincere thanks. The Museum wishes to thank Osler, Hoskin & Harcourt and acknowledges the vital contribution of Air Canada, the Volunteer Association of the Montreal Museum of Fine Arts, Tourisme Montréal, the Consulate General of Israel in Montreal, as well as Bell, La Presse and the Montreal Gazette. 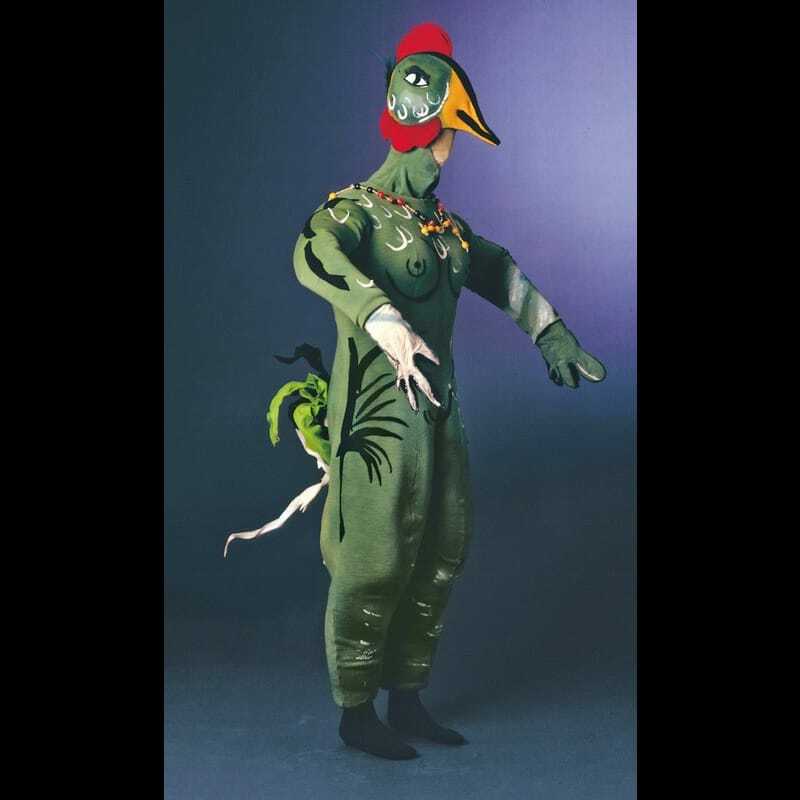 The Museum extends its thanks to Quebec’s Ministère de la Culture et des Communications and the Conseil des arts de Montréal for their ongoing support. 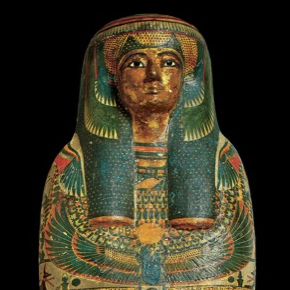 The exhibition also received the support of the Department of Canadian Heritage through its Canada Travelling Exhibition Indemnification Program. The Museum’s International Exhibition Programme is aided financially by the Exhibition Fund of the Montreal Museum of Fine Arts Foundation and the Paul G. Desmarais Fund. The Museum would also like to thank the Volunteer Guides for their indispensable contribution, as well as all its members and the many individuals, corporations and foundations – in particular the Fondation de la Chenelière, directed by Michel de la Chenelière, and the Arte Musica Foundation, presided over by Pierre Bourgie – for their generosity.